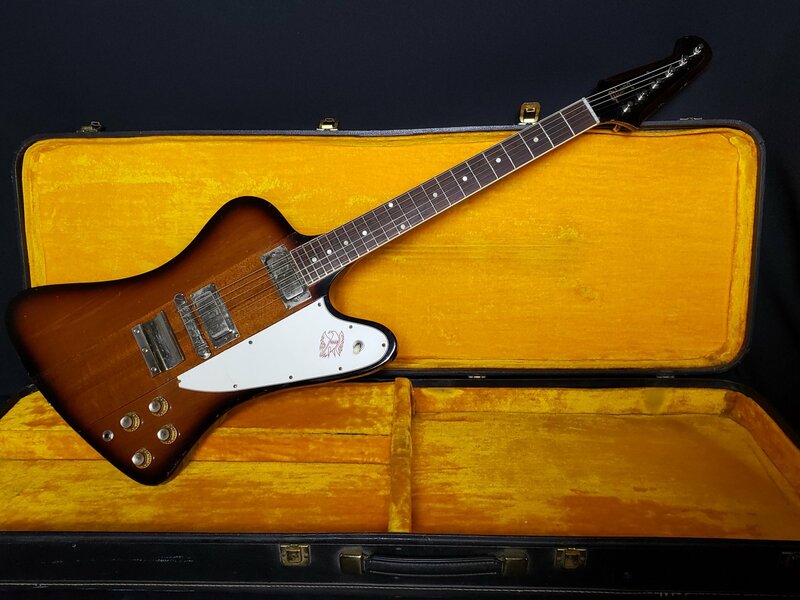 1964 Gibson Firebird III in good condition and excellent playing order. Comes with the original hardcase. This particular Firebird has gone through some major repairs carried out by the Seattle Luthier, Paul Stroh. The bridge has been converted from the Gibson style Vibrato to hard-tail. The pickups have been repaired in our shop by Tommy. Overall, everything works as it should and it plays and sounds great.